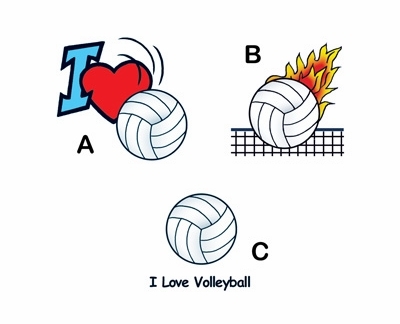 Show your love for the sport with these super cool Volleyball Tattoos. Each Volleyball Temporary Tattoo sheet measures 1-1/2" x 1-1/2" ... and lasts for between 4-7 days. NOTE: Styles A and C are no longer available. They made for a nice prize for PE class.